Happy Thursday, Lucille! I hope you have a wonderful day! Thanks, sand! I certainly intend to. Life is short, even if you’re here a 100 years. Good morning Lucille have a beautiful day 🙂 ! Good morning, lovely! Beauty is in the eye of the beholder…and, yeah, that’s true. But there’s enough beauty in the world to suit everyone. In case you missed these items at CTH…the first one is a rebuttal to Trey Gowdy and his bizarre recent interviews…the second is a VERY needed humorous bit by Joe Dan…. Morning Lucille, Everyone. 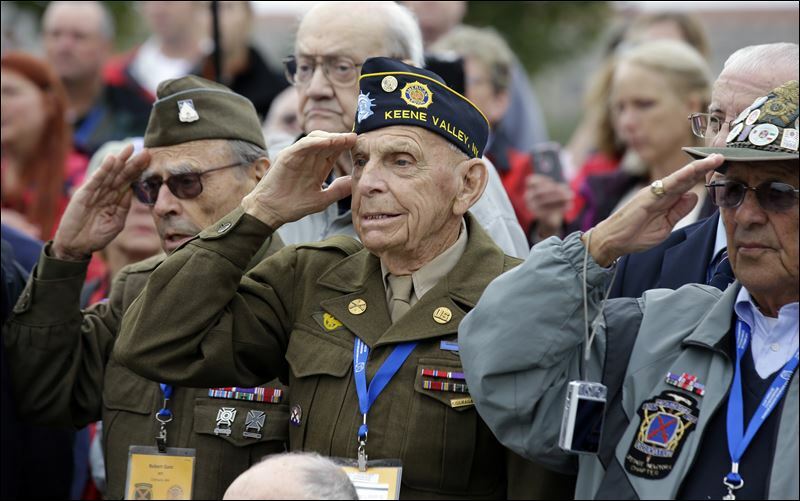 I’m on the porch, can’t run with those WW2, Korea Vets. Good morning, Colonel! May your day be blessed with peace. Morning and blessings Col. 🙂 . You have run enough Sir, enjoy some fresh air and blueberries today. There you are, been wondering how yer doin’. Good afternoon BigMamaTea 🙂 ! The proprietor, Dr. Lee Carriker, is a semi-retired veterinarian. He reports from his ranch in south Texas about daily happenings, sometimes puts in some clips of his rock band playing at local venues…or of his children and grandchildren, or his Uncle Floyd who will be 104 in July. This is a fun and sweet vid. Enjoy! I’ll let you know one of these days I need to take a cross country trip 🙂 ! Well, if you do this…..stop over with nice guest room available in the middle of the country!!!!!! And thank you BigMamaTea 🙂 ! Good morning folks, have a beautiful day, 🙂 ! Can’t wait to see the ‘Gender Fluidity’ merit badge requirements. Oh wait…no more badges…they promote dominance hierarchies. Another bright clear one with comfortable humidity. Gotta remember these come August. Good day, WeeWeed! Rather than sticking to principles, the money-hungry BS sticks it to decent folk everywhere. Czar, what the heck? Did you unload all your rain on me? I feel like we have our share and yours too. Well you can always just send some of it back, don’t have to keep it all. Weatherman said no likelihood of rain here til 30% chance on Sunday. This after they predicted a wetter than normal spring for us. We had almost 4 weeks of no rain at all, a couple days with decent afternoon showers, now nothing for days & days. More weather guessing. Roasting and muggy here today but going down to a lovely 60° tomorrow. An update on the baby ducks. They’re gone. GONE!! I checked them before I went to bed last night about midnight and they were all huddled up together so tight you could have put them in a coffee mug, I think. When I got up this morning, they were gone. I hope their mother came and got them. I think if it had been a predator some would be left or feathers or baby duck parts scattered here. I was a concerned about them last night because it cooled off after all the rain…………all the way down to 75* I think. 🙄 But, I had read that they need their mother to keep them warm. Hopefully they are with their mother now. Local news was showing the fire department from a local town pulling a basket full of what looked like wood duck ducklings out of a storm drain and reuniting them with mama. They taste good and they’re not too bright – a bad combination. My heart was breaking over the poor little guys aus, so I am gonna hang onto the theory that mama returned and all is well. And hopefully you guys are drying out from the rain? As much as I am enjoying the rain……………I am glad it is a pretty day today. There are a lot of pretty white clouds but still a lot of humidity. It is so high, I felt like I had just stepped out of the shower when I took a walk this morning. I really do think she came and got the babies, because I can’t imagine all of them disappearing at once in another scenario. I like happy endings and as long as there were no feathers or other signs of a predator, I think the chances are pretty high that mama returned. We’re having a cold and rainy this morning as well and I hope it keeps raining because the forecast yesterday was calling for hail and as long as it keeps raining the hail won’t fall. Poor little things. (((Aus))) big hugs! I’m so glad they had you looking out for them. Can you please help me to understand why you, Sundance, Ad Rem, etc. tolerate all the incessant Jeff Sessions bashing/negativity on the other open board?? It’s really getting out of hand and I don’t know why it is allowed. I see it as unhelpful, entirely negative, subjective hate-mongering. Something needs to be done. For real. I don’t really actively read the comment sections any longer, and I can’t answer your question, since it isn’t my decision. If you see something particularly egregious, send an email to the CTH (Last Refuge) account at reagan.com and put the words “MODERATION REQUEST” or something like that in the subject line. Ad Rem or someone else will pick it up (even me), if it is a particular problem or a particularly problematic individual. It is importnt that we do not faction off Trump supporters into a bunch of in-fighting, divisive groups. We must continue open dialgue and listening to be prepared to fight on the same team. The Session conflict wouldn’t be so tiresome if both sides would just quit commenting correctively, which are attempts at silencing. Agree. Let it play out and we will see. 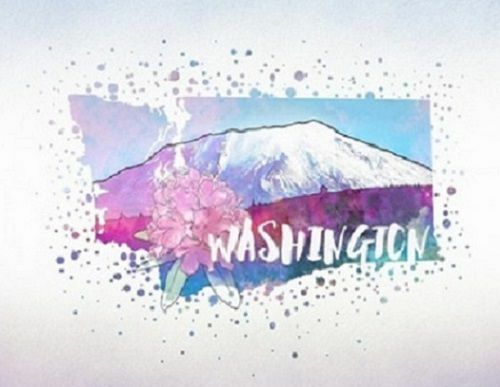 In 1892 women in Washington State organized a statewide election to select the state flower. Six flowers were considered, but the final decision was narrowed to the coast rhododendron & the clover. Then the campaigning began in earnest. The statewide voting was only open to women. 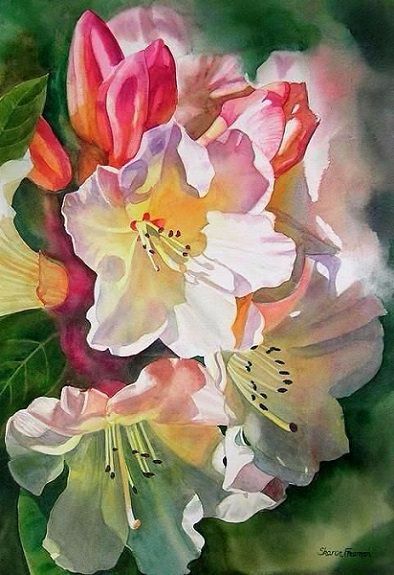 The rhododendron with its “wild profusion, great beauty and its evergreen leaf, which goes with the Evergreen State” was denigrated as an import from California. Rhododendron supporters attacked the clover as “cattle forage”. Voters flocked to cast their ballots for the official state flower. In the end, the coast rhododendron won by capturing 53% of the ballots cast. 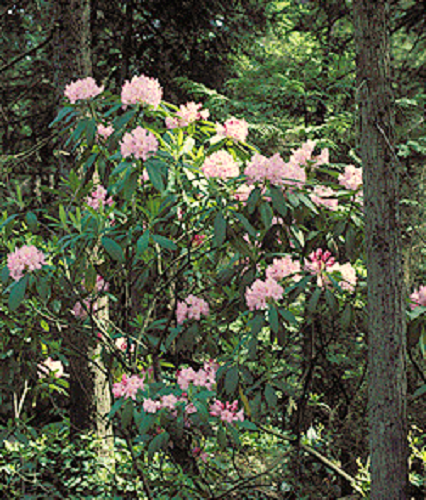 The Washington Senate took action and approved the rhododendron as the official state flower on February 10, 1893. But that is only one half of the Washington Legislature. On February 10, 1949, the rhododendron (Rhododendron Californicum) was approved by both houses as the official flower of Washington. In 1959 the law was amended to specify Rhododendron macropyllum as the specific variety of rhododendron intended to represent Washington State. Archibald Menzies found R. macrophyllum growing along with Arbutus menziesii in May 1792 when he and George Vancouver made their second landfall after leaving Hawaii, near present-day Port Discovery, Washington. Seed was sent to England in 1850 by William Lobb. 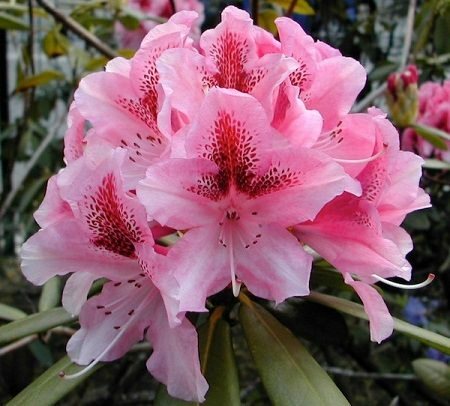 The Coast Rhododendron enjoys protection from being picked in the wild where it grows naturally along forest edges and in clearings created by tree falls and fires. The northern limit of its range is somewhat north of the border between Canada and the United States in British Columbia. It is found as far south as Monterey Bay in California It is widely distributed in the Coast Mountains and Cascade Range. It is less abundant in the coastal mountains of Washington and northern Oregon and more common south of the Siuslaw River. It is mostly coastal in distribution but extends its range eastward to locations in the Cascade Mountains in Oregon, Washington and British Columbia. I will take a few days off from the state flower series, and finish posting them next week. PLEASE NOTE – At Stella’s suggestion, I changed my name from G-d&Country to TheOriginalG-d&Country to reduce any mix-up with our new poster ForGodandCountry. WooHoo, Powdered sugar AND sprinkles..,,,life is good! I’ve heard that ‘fluffy’ people are harder to kidnap so I use that as my excuse for indulging in seconds anytime I find myself around cake aus…. Beautiful flowers, Orig. G & C!!!! I love your posts! Yes, for a few posts next door & here for about a week people thought he was me. I guess it’s more difficult to distinguish between posters unless you look at the actual thread on the webpage. Thank you so much for he beautiful posts and the carefully composed narrative. I have, & will continue to enjoy both! I get carried away with the narrative. There is so much interesting info on the web. Even though I research the topic at night when too tired for anything else, I have to limit my time better. I really love posting the paintings & art. The state flowers will finish up after a couple of days off. I then have the Escher request, and after that a somewhat different but interesting art subject planned. I just wanted to say I am so happy you and others enjoy both the narrative and art. I have been very busy, and don’t always have the energy to respond to everyone’s comments and replies as I would like. Thank you again. I am so glad. I think Dinesh D’Souza is a real American Patriot and obviously Obama’s administration used their power to punish him for his movie. I heard on NPR that the three who were pardoned were prosecuted by Comey, a subordinate of Comey & the New York prosecutor Trump fired. I imagine that is true. Wonderful on both items, but especially on Dinesh D’Souza. At the time Dinesh’s conviction was handed down, Alan Dershowitz said it was a miscarriage of justice. 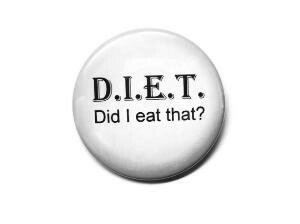 Indeed it was. Now Dinesh will have his rights restored, and he will likely be out there telling all the crapola the terrorizing prosecutors put him through. I am glad he will get his voting rights back. Way to go, President Trump!!!! I’m so happy about this. Something else about the baby ducks. I had put some bird seed down next to the nest for the mother. LOL Now there is a clump of green sprouts growing there. I am not sure what all the babies eat, maybe the bird seed, worms and bugs. I know there were a lot of flies around the nest and they sure were going after them. Hehe! Yes! Please little ducks… eat those flies! I love this sweet young man…so talented…. Thread by @LarrySchweikart: “1) Ok, people were clamoring for this; so some voter registration updates…. Saw today that a liberal called First Lady Melania a word that even the website I was reading refused to print in full. No word yet on whether or not this liberal will get the same treatment Roseanne got. And what this liberal said was infinitely worse than what Roseanne said. I’m not holding my breath. Liberals are so two-faced it’s not funny. Amen, and Good Night All.